For auction is a Westclocx MOONBEAM flashing light alarm clock. The clock works as should and keeps good time. The case has signs of wear with some scratches and a cracked area on the upper right side of the back, the cracked area does not detract from the displaying of the clock. Also has some white crusting looking spots that scratch off with finger nail. The face cover of the clock has a scratched scuffed area that is quite noticeable may buff out don't know. The actual face of the clock looks to be in good condition but needs cleaned. For its age the clock is in fair condition. Will make a nice addition to any collection. Needs cleaned and some TLC. As always email me any questions you may have. 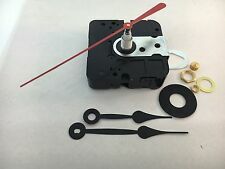 (Clock kits can get confusing, but it is very important you order the right kit). If you have a chunk of wood that is 1" wide, this will not work as you will not have room to screw on the hardware. Thethreaded shaft length is 15/16". Great for repairing, replacing or making a clock. It doesn't affect usage. The installation of pointers is skillful. Otherwise it will affect the performance that these pointers may not walk. Due to the difference between different monitors, the picture may not reflect the actual color of the item. The pendulum weighs 4.5 oz. New ListingVintage Westclox Pink Dialite Electric Alarm Clock USA Model 22250 1960's Works! It is a Pink Drowse Dialite Model 22250, Made in the USA. Power by: 1 AA battery (not included). Easy to install. Color: as picture shown. Case Size: 52mm x 55mm x 17mm. Model 34-225. 2W, 115V, 60 Cycle. Bakelite Back. Made in Bristol Conn. Light Beige Diamond Shape Background. Gold Handles. Second Hand. In good condition! New Universal Adjustable French Clock Pendulum. Overall length is 6 3/4". 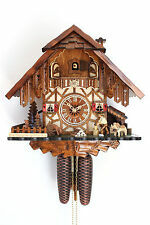 The product was created on the basis of the cuckoo clock,and its. 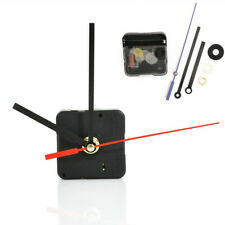 1 x Cuckoo Clock Wall Clock(Not included battery). Color:Brown(as picture). This Atmos belonged to a good friend of mine who died about 15 years ago. It has 15 jewels. The serial number is 75738. it was made in the first half of the 1950's. The mounting screws are blued steel. Shaft Length: 17MM. Thread: 8.7MM. Don’t short circuit. Don’t dispose of in fire. -Complete with 239mm hour hand and 316mm minute hand which can easily be cut to size with scissors. Body Size: 56x56x16 mm. Great brass eagle clock finial 5 1/2 tall. 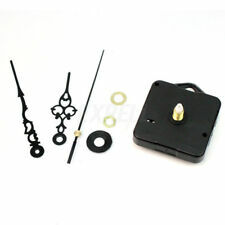 This is a Universal Clock Winding Key set. It is for Even or Odd numbered clocks. I also have these in odd or even winders by themselves, not as a set. If you aren't sure what number you need, buy the set! Eagle finial brass 5 1/2 tall great shape. 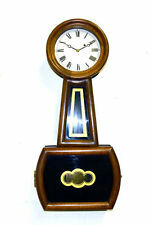 New ListingVtg Kundo Kieninger & Obergfell 400 Day Anniversary Clock Works Runs Glass Dome! Made in Germany. The clock face Kundo under the 12 & Made in Germany under the 6. Floral design around all the numbers. Colors are Black,Red & Gold. Clock has adjustable feet, and has been working perfectly for years however the wire spring recently broke and needs to be replaced. 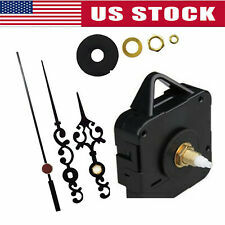 New 7-1/2" long refillable precision plastic pen clock oiler. Filled with 1/4 ounce of high quality semi-synthetic clock oil that inhibits corrosion, enough to oil about 50 clocks. 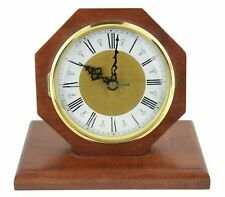 Just squeeze the reservoir to apply a.
Brock and Co Vintage Gold 8 Day Desk Clock with Alarm. Shipped with USPS Priority Mail. Item is exactly as pictured and comes with a dust bag issued from Brock and Company though not for this clock. Measures Approx. 3 3/4" X 3 3/4" X 1" Description: Stamped with 16309 and then inscribed with ‘340-22’ and an arrow indicating it should go between the ‘6’ and ‘3’ in the stamped sequence. Final inscription is below this and reads ‘T3882.’ History: Founded in 1903, Brock and Company was known as the Tiffany & Co. of the West, and even rejected a merger request by Tiffany’s to become Tiffany and Brock & Co. in the 1920’s. Brock and Company crafted fine luxury jewelry and related items before officially closing in the 1960’s. 1 1/4 x1 3/4". You get 1 left and 1 right. They are very easy to install. I use a hot glue gun to install them. 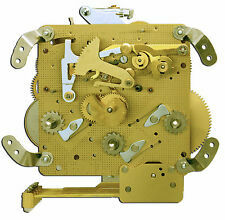 This is the smaller 24 Hour model of a Atlas wall clock. I just made one out of cardboard to keep the dust out. The original rear cover is missing. 18" Long X 7" Wide X 5" Deep. One VINTAGE salvaged URGOS UW32/1A/80cm 8 DAY WESTMINSTER CHIME CHAIN MOVEMENT. Condition is Used and not tested. Overall the movement is clean and odor free. I can not and will not change the value on the custom forms. Kundo was the first to produce miniature anniversary clocks in 1952, with midget models appearing in 1960. We know anniversary clocks. Are you looking for a key for one of your other anniversary clocks?. Features: Repair Part, DIY Kit, Accurate. Suitable for repairing, replacing or making a clock. Shaft Length: 13mm, Thread Length: 6mm (Approx.). Due to the light and screen setting difference, the item's color may be slightly different from the pictures. Vintage Westclox Moonbeam Mid Century Deco Alarm Clock Model S5-J Working VGC. Condition is Used. Shipped with USPS mail. ART DECO styling make this timepiece a must have. The light blinks as an alarm. Its pretty bright, in great working order and could be used for the hearing impaired. This one is in great shape, with very few cosmetic issues. A real beauty. Very lignt scratching and scuffs here and there, and pretty unnoticeable unless looking very closely. This one could be yours at a price much less than most others like it....especially in this great shape. It has been tested and will be again a full 24 hours before shipping. CONDITION: GOOD. SMALL BREAK ON THE BRANCH (SEE PHOTO). THE ALARM WORKS. THE CLOCK DOES NOT WORK. NEEDS REPAIR. BEING SOLD AS FOUND OR FOR PARTS. SURFACE, EDGE, SCUFFS, SCRATCHES AND CORNER WEAR. Shaft is 3/4" overall. 7/16" threaded shaft. Battery/hands and pendulum not included. Uses a standard C battery. Mounting hardware included. NEW set of 2 - 5 prong universal clock keys. 5 even sizes on 1 key, 5 odd sizes on the other key. Complete set of clock key sizes from 2 thru 11 (2.75 mm to 5.00 mm). Quality solid brass construction for long life. Screw Thread Rod Length : 15mm. - Easy and simple design. Great for repairing, replacing or making a clock. - Shaft Length : 22mm. - Crystal Frequency : 32.768KHz. Hour hand size: 65mm (approx.). Minute hand size: 100mm (approx.). Second hand size: 130mm (approx.). 1x Hour hand. 1x Minute hand. How Do You Safely Hang Large Wall Clocks? To hang large, heavy clocks, it is important to use the proper support. You need a heavy screw, metal screw anchor, stud finder, drill, small drill bit, hammer, and screwdriver. Use the stud finder to find a stud in the desired location and mark the stud with a pencil. Use the drill and small drill bit to make a starter hole for the screw and then use the screwdriver to secure the screw in the stud. If you cannot find a stud in the desired area, drill a small hole and carefully tap the screw anchor into the hole with the hammer. Screw the screw into the anchor to secure it. 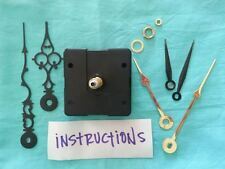 What Are the Main Parts of Pendulum Clocks? 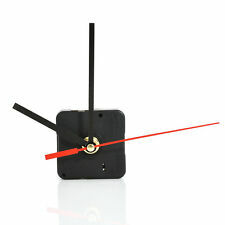 Pendulum clocks consist of many moving parts that operate the clock using potential and kinetic energy. 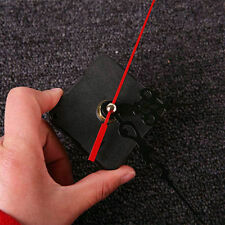 A weight stores the potential energy and releases it to the clock as it drops. A set of power gears take that energy and use it to push the clock mechanism at the proper speed. 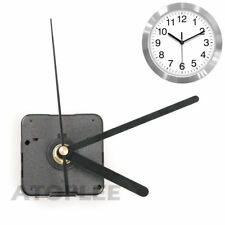 Pendulum clocks also have timekeeping gears that drive the hands around the face. The pendulum and escapement control the speed of the clock. What Are Some Tips for Decorating With Clocks? Consider the general theme of a room when choosing a clock. For example, a clock made of wood or repurposed materials suits a rustic room. If a clock is very large, make it the centerpiece of the room on a featured wall. Avoid cluttering the space around grandfather clocks, as the clocks are large and already draw the eye. When decorating mantles and shelves with small clocks, choose ornate pieces, such as those with hand-carved embellishments.